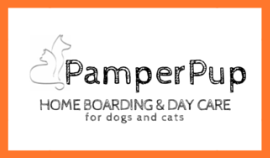 Call us at 011 311 8945 and tell us all about your furkid(s) prior to bookings. ​We also welcome planned and scheduled visits to our home to let you know more about us and our furry-residents. Slots are limited as we want to ensure every fur-guest gets the best attention and TLC. So do contact us in advance for us to plan the best for your fur-babies! Essential items to present: vaccination card which shows up-to-date vaccinations, heartworm preventions, internal parasites preventions and tick/flea preventions. Your furkid will also have to be COMPLETELY TICK/FLEA-FREE upon check-in. ​Also, kindly fill in this form goo.gl/forms/RiVNA05AaG about your furkid.